 Online rush, be the best cat runner, and decorate Home-Room! Cat runner is the best cat running game. Decorate your home for free! From the Living to bedroom or many other rooms, you can design and decorate everything with you loving! 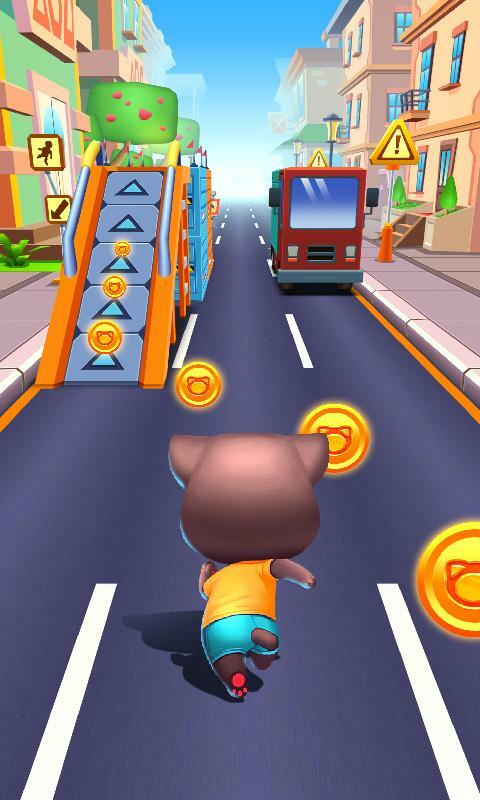 Enjoy hours of fun with your loved cat, run to collect gold coins after being robbed in this endless runner game! Explore new worlds, only racing with fast speed. go on a running adventure, dodge fast cars and trains as you go after the robber. It is very easy to control, run as fast as you can, rush in the endless city scene. Be careful to avoid carrier, collect more and more coins and buy more props. There are many pet to choose, cat, unicorn and dog. Every pet runner have unique style. Take your liked pet to get the first runner. Original running mode, endless mode and athletics-online rush. In the athletics mode, you can get chests and surprise to observe the gift, diamond, coins or props. Upgrade your props, MEGA HEADSTART, score booster, hoverboard. Competing mode is very exciting and fun, rush with world players, observe the prize. Challenge the cat runner levels, enjoy the home-room decorate. Make your home here, more decorative options, design different home. Run as fast as you can. Get more and more coins to design. 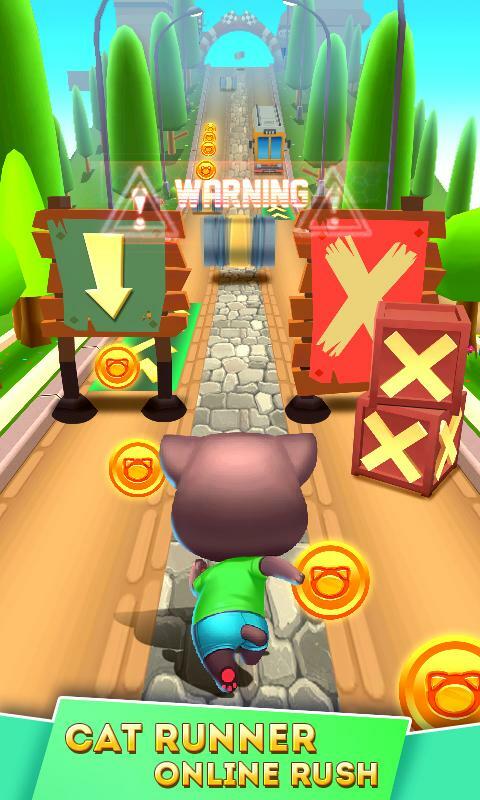 Cat Runner-Decorate Home Features: .Cat runner 3D game .Decorate home you liked .More decorative options .Interested design you room .Online Rush with rivals .More scenery to rush .Get more and more coins .Run as fast as you can .Be careful to avoid the barrier .Upgrade the props, magnet, 2*multiples and jetpack .Suitable for all ages .Interesting background .Sensitive control Cat Runner: Decorate Home has already started, download it and rush in the endless city.  Is Cat Runner: Decorate Home yours? Claim it!